Check out a list of commonly asked questions and answers. As Australia’s only independent agricultural and equine business management college, Marcus Oldham offers students a unique educational experience. 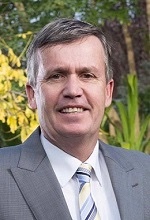 Since 1962, Marcus Oldham has built an enviable reputation both nationally and internationally for preparing business leaders who pursue successful careers in the farming, agribusiness and equine management sectors. The difference with Marcus Oldham is its unique ability to develop the individual. Similar to the Harvard experience, the Marcus model of education is based on case study learning. With high student contact hours, small class sizes, excellent lecturers who skilfully deliver the theory with practical application, the education received by students at Marcus Oldham is second to none. Students of Marcus Oldham are all encouraged to have a number of years working in industry before attending the College. This exposure to industry means a more mature student committed to achieving better learning outcomes. During their study at the College, students will be exposed to experiential learning, case studies, practical examples and several tours both domestic and international. Students come from across Australia ensuring a truly enriching social and learning experience. Being independent allows our courses to be developed in close consultation with the relevant industries and to incorporate new trends and technology into the teaching programs. Our emphasis is on business management which provides skills that are readily transferable across a wide range of careers, resulting in highly employable graduates who are at the leading edge of their chosen fields. Having been a student, lecturer and now principal at Marcus Oldham, I genuinely believe Marcus Oldham to be a very special place. Why don’t you commence the path to becoming a Marcus graduate, joining our alumni who are leading the farming, agribusiness and equine management sectors across Australia and the world?